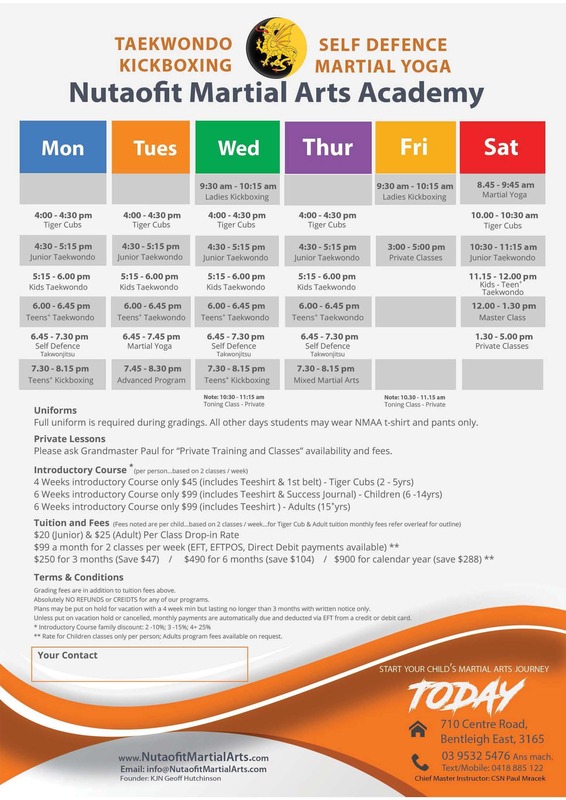 NMAA East Bentleigh class timetable is available by either selecting and clicking on the picture or on the separate download below in Adobe pdf format. 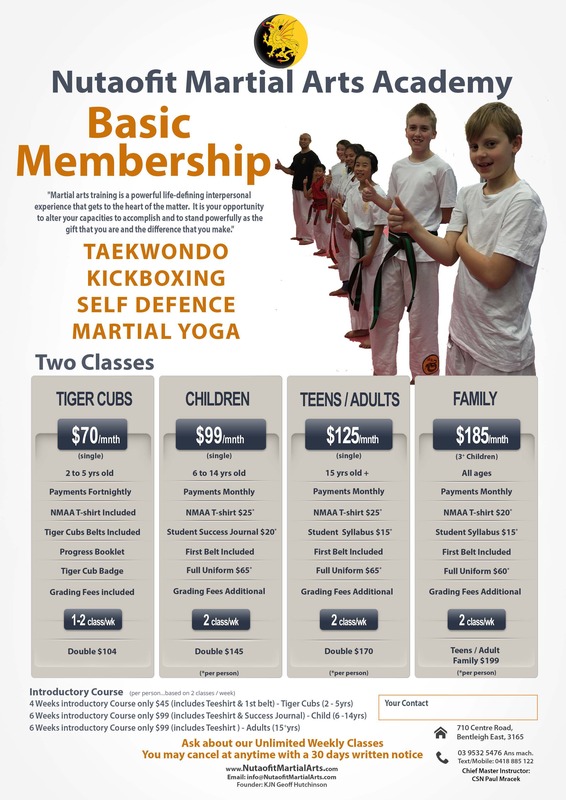 NMAA East Bentleigh class programs and fees are available by either selecting and clicking on the picture or as a separate download in Adobe pdf format. Club venues of all NMAA clubs and contact details are listed to assist with all enquiries. 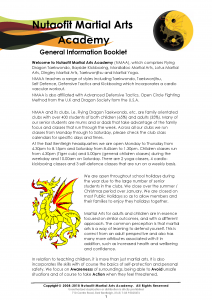 Whether it is the self defence aspect, the need to lose weight, to gain fitness, as a stress relief, improvement of agility or just being involved within a Club, Martial Arts training can be one or all of the above for you.It is an activity for all ages from six to sixty, male and female. Every students ability is different and progression will depend on their capability and need. The younger students get their thrills with jumping, spinning kicks whilst the mature age students enjoy the philosophy a lot more.Age is not the barrier, the barrier is the persons perceived view of what martial arts is all about. It is not a blood sport or a group of uncouth youths hitting and kicking each other. 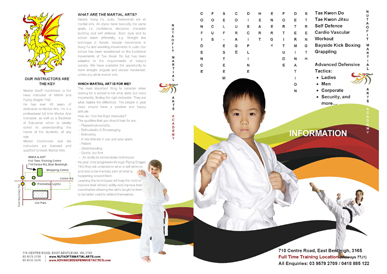 It is an art form which teaches balance, control, dedication and much more. The only way to find out is to have look. Come down to any of the locations and give it a go. Family involvement is encouraged but come as a single and we’ll make you feel welcome. NMAA East Bentleigh location and directions are available by either selecting and clicking on the picture or as a separate download in Adobe pdf format, select red text above. NMAA overview “General Information Booklet” contains a comprehensive summary of the most frequently asked questions from prospective students and parents of children. This booklet is provided free of charge to assist in understanding NMAA’s commitment to its students, instructors and the general public. Master Geoff Hutchinson (1957-2016) was the founder of Nutaofit Martial Arts Academy and Flying Dragon TKD. He had over 45 years of dedication to Martial Arts. He was a professional full time Martial Arts Instructor, as well as a Bachelor of Education which was ideally suited to understanding the needs of his students, of any age. Master Paul Mracek is the current Chief Instructor and has over 26 years in Martial Arts and training in general, all NMAA instructors are licensed and qualified to teach Martial Arts. How do I find the Right Instructor? We will continue to keep adding additional information here for our students, so please visit regularly and check this page out. Don’t forget to leave us a message on the blog or contact us by email to let us know what else you believe should be added to add all students.